Yes, we work out. No, not for the reasons you might think. 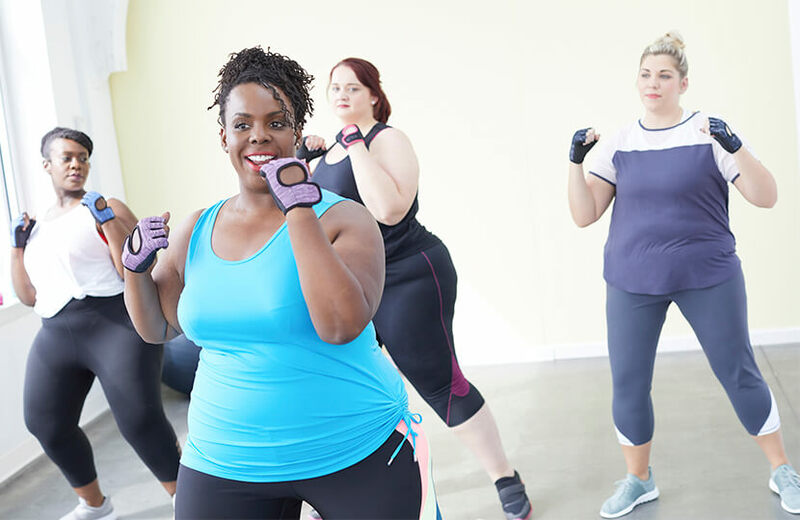 Because plus-size bodies are so rarely seen working out in mainstream media (even while scrolling on Instagram), it can often feel like women above a size 14 don’t work out at all—but we’re on a mission to debunk that myth! We chatted with some incredible leaders in plus-size fitness to hear what misconceptions they regularly struggle with. Not only are these women strong and fit, but they also have carried around the baggage that comes with working out in a plus-size body and are here to help us break it down. Myth #1: Plus-size women exercise for weight loss. While many women of all sizes work out with the goal of losing weight, not all plus-size women are being active purely to drop a dress size. With benefits like improved heart health, increased flexibility, strength, endurance, and even mental health benefits, there are countless reasons why we exercise. 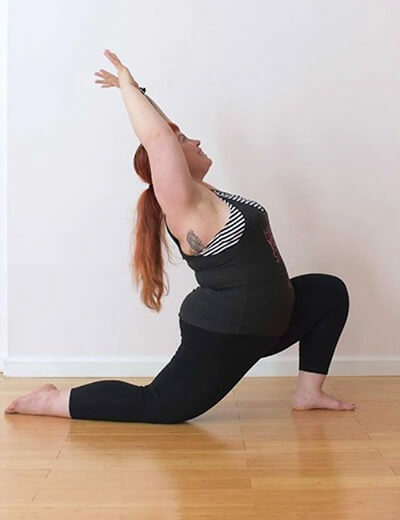 Plus-size activist Laura Delarato says, “The biggest misconception I face—and plus-size women in general face—is that we are working out or being healthy because we are trying to lose weight.” While Laura is no stranger to fitness, she gets treated as such by people all around her. 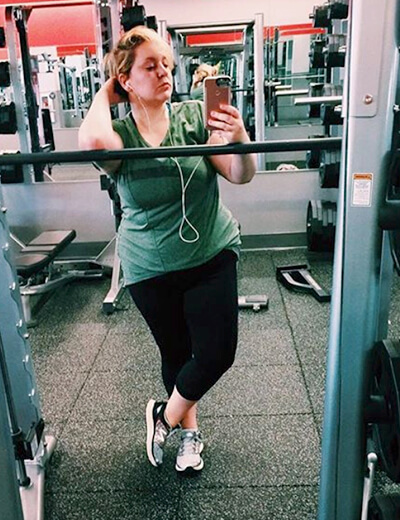 She noted that, “Just checking into a gym often garners a ‘Good for you!’” Patronizing comments from passersby are not uncommon when exercising, as if the gymtimidation of being a larger size in a fitness context isn’t enough to keep plus-size women from working out. The biggest misconception I face—and plus-size women in general face—is that we are working out because we are trying to lose weight. Avid hiker Jenny Bruso has noticed similar reactions when trekking on trails. “I often notice the disbelieving looks I regularly get from men as I pass them on the trail with a friendly, ‘Hello.’” While comments and looks may intimidate some, both Jenny and Laura have persevered and continue to defy expectations, only getting stronger both physically and mentally as they’ve had to teach themselves how to have a thick skin so these comments don’t get to them. 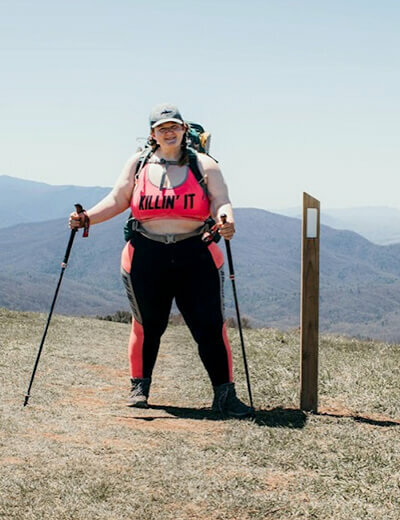 Jenny Bruso was so inspired that she wrote a guide on how to interact with plus-size women on a hike. Myth #2: Plus-size women can’t do the same workouts as everyone else. That “gymtimidation” factor, of not being able to do the same workout as the other people in a fitness class, is very real for many. But the fact that we’re incapable of completing the same workouts as straight sizes? That’s a complete myth according to Coach Tulin, a plus-size fitness motivator who encourages her followers to go for it, even if there is no one else in the room with bodies that look like our own. We see bodies that don’t look like ours and use that as a boulder to hold us back from being able to move forward in our fitness. 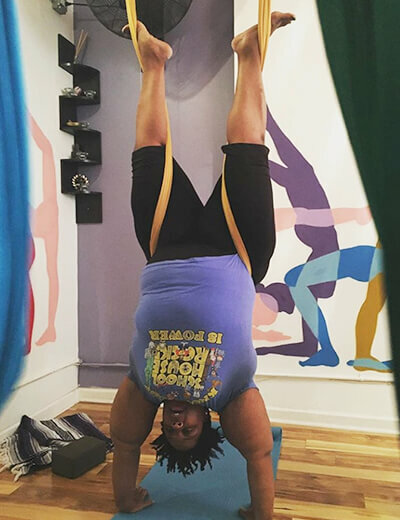 In the case of Dia&Co customer Leah Lakins, it was not the people in her yoga studio that made her nervous, but rather the equipment. Reflecting upon when her yoga studio first introduced aerial yoga, Leah remembers, “I looked up at the fabric hanging from the ceiling and thought, ‘There is no way that that piece of fabric is going to hold me!’” She soon learned that the aerial yoga hammocks can hold up to 1,000 pounds, meaning she would be supported throughout her entire workout. I gradually allowed myself not to let my weight be a barrier to me trying a new trick or going a little farther than I had before. While Leah found a supportive community to welcome her to this new activity, avid hiker Ashley of @ashleysadventure got a different kind of positive feedback from those she saw on the trail, which she documented on Instagram. Her caption reads, “A guy came up to me today as I was pumping water, and said ‘You’re more badass than any of us out here. I’m not trying to be rude, but you don’t see people your size out here.’ While it was flattering, it was also sad.” Simply being on the same challenging trail as this man surprised him. Regardless of what is holding you back from trying the challenging workout, be it the intimidating equipment or perceived ability levels of others in the class, you too can participate! Myth #3: If you modify the workout for your body, you should move to the back. What are some common misconceptions you’ve experienced? Let us know and join the conversation on social.